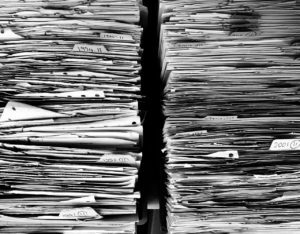 Records Management is another name for organising and managing your information, whether it is held on paper or held electronically. The management of information and records is critical to the success and efficiency of any organisation, including schools and academies. It helps to ensure that accurate, up-to-date and easy to locate information and records, are available to be able to make informed decisions; it supports the creation of the evidence needed to account for these decisions, allowing schools to be open, transparent and accountable and prove compliance with any relevant statutory and regulatory requirements. Records Management also supports compliance with the Data Protection Act, Freedom of Information Act, Environmental Information Regulations, associated standards and codes of practice. support with handling and destroying confidential information. off-site storage service for paper records. When using this service you are accessing qualified and experienced staff; the Assistant Records Manager (Schools) is qualified to post-graduate level, has many years of experience working in the field of records management and possesses the industry recognised qualification BCS Certificate in Data Protection. The wider Information Governance team also have qualifications in Data Protection and Information Rights Law and Practice as well as many years’ worth of experience interpreting and applying records management standards and data protection, freedom of information and related legislation in the context of a local government and schools environment. We know that managing your records and information can seem like a daunting task; we hope to provide some much needed clarity and help make it as easy as possible.